Elegant Stems BS Limited (“The Company, We and Us”) are committed to protecting and respecting your privacy. Any personal data you volunteer will be used for the purpose for which you supply it and will be treated with the highest standards of security and confidentiality, strictly in accordance with data protection principles, the Data Protection Act 1998, and applicable EU directives. It will only be shared, where you have given consent. Personal data means data relating to a person who is or can be identified either from the data itself or in conjunction with other information that is in, or is likely to come into, the possession of The Company. It covers any information that relates to an identifiable, living individual. This data can be held on computers or in manual files. Regulation (EU) 2016/6791, the European Union’s (‘EU’) new General Data Protection Regulation (‘GDPR’), regulates the processing by an individual, a company or an organisation of personal data relating to individuals in the EU. A “data controller” means a person who, either alone or with others, controls the contents and use of personal data. Data must be obtained and processed fairly. Data must be accurate, complete and where necessary, kept up to date. Data must have been obtained only for one or more specified, explicit and legitimate purpose. Data must not be further processed in a manner incompatible with that purpose. Data must be adequate, relevant and not excessive in relation to the purpose for which they were collected or are further processed. Data must not be kept for longer than is necessary for that purpose. Appropriate security measures must be taken against unauthorised access to, or unauthorised alteration, disclosure or destruction of the data, where the processing involves the transmission of data over a network, and against all other unlawful forms of processing. The Company employs the most appropriate physical and technical measures, including staff training and awareness and these are reviewed regularly. We at Elegant Stems BS Limited owe a duty of care to the data subjects concerned, i.e. we take care not to cause any of our customers damage or distress by, for example, maintaining inaccurate information on our files, or disclosing personal data to someone who is not entitled to this data. The Company takes its obligations very seriously and adopts the strongest line in relation to the misuse of customer information by any of its staff. When you proceed to fill out any enquiry or contact form in the Elegant Stems BS Limited Website, you will be reminded to refer to this policy. This website is hosted with Catalyst2 Ltd, please visit their website for further information on their GDPR policies and procedures. Under section 4 of the Acts a person has a right to be given a copy of his/her personal data. This subject access request (SAR) must be in writing through to the Data Controller. Your request should be as specific as possible. To enable us to issue the Data, it will be necessary for you to include evidence of your own identity such as a photocopy of your passport or photocopy of your driving license. Any access request will be subject to a fee of £10 to meet our costs in providing you with details of the information we hold about you. A response to your access request will be issued to you as soon as is possible and in any event within fourteen days. Under section 6 of the Data Protection Acts, a person has a right to have his/her personal data corrected, if inaccurate, or erased, if there is not a legitimate reason for retaining the data. Elegant Stems BS Limited makes every effort to ensure that your personal data is accurate and only retained for as long as it is required. If you have reason to believe that your personal data held by Elegant Stems BS Limited is not accurate or should no longer be retained, you can write to us on the issue setting out clearly what personal data is at issue and the reasons why you consider it to be inaccurate and/or why The Company should no longer retain it. Please specify the exact data and include as much evidence that has led you to believe that your personal information has been accessed illegally through a disclosure by The Company. The matter will be investigated by The Company and you will be notified regarding the outcome of the investigation as soon as possible. Our website collects the following information none of which can be traced back to any personal identifiable individuals. Statistical information (web browser version, pages visited etc…). The previous website address from which visits reached us, including any search terms used. IP addresses for the purposes of website security and safety. A web browser is the piece of software you use to read web pages. Examples are Microsoft Internet Explorer, Chrome, Safari, Mozilla Firefox and Opera. The moment a computer connects to the Internet an IP address is created that can help your internet service provider identify the user. For most users the IP address will change regularly, and no personally identifiable information is accessible to Elegant Stems BS Limited. Occasionally an IP address can provide useful general information such as the country of origin – this can aid Elegant Stems BS Limited in managing attempts to breach the security of our website. A Dedicated Server is dedicated to one Company so that only their customer websites or email accounts exist on that server. The Elegant Stems BS Limited website uses an SSL Certificate. SSL stands for Secure Sockets Layer. An SSL Certificate creates a secure connection between visitors and the website. The specific details a visitor completes via an enquiry form is encrypted and kept secure from hackers. Send someone the gift of the freshest flowers beautifully designed and hand delivered. Buttonholes – A History and How To! Candy colours and lollipop trees in full bloom! 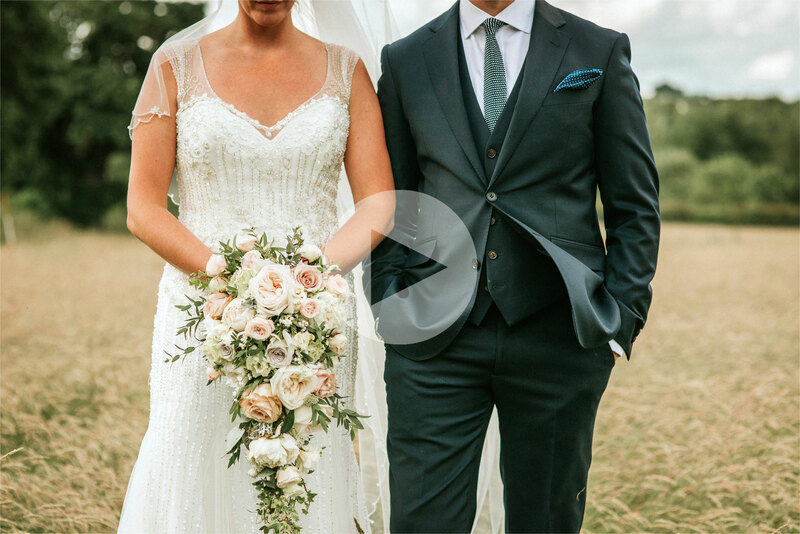 The wedding of a florist – what flowers does she choose? Just in case we’re out setting up a wedding or in a meeting with funeral clients please call in advance rather than just popping in. We offer day time and evening appointments for wedding, event and funeral consultations. © 2014 Elegant Stems Floral Design, Florist Bishop’s Stortford. All rights reserved. Elegant Stems BS Limited, Registered in England, Reg No. 8470851, Trading As Elegant Stems - VAT No: 980654102.